One of the best ways to stimulate the rhythm of a family is to create frequent shared experiences for that family. The premise is simple: parents and kids need time together in a shared environment on a frequent basis. However, instead of getting kids excited about what their parents believe by putting them in a service designed for adults, shouldn’t we be doing the opposite? We should get parents excited about what we are teaching their children by putting adults in an environment designed for kids. Why? Parents have approximately 3,000 hours in a given year to influence the heart and life of their child. In comparison, we as a church have approximately 40 hours with your child each year. It’s simple math. If you want to influence kids, you need to start with those who have the most potential to influence them: you, their parents. That’s the idea behind FamJam, it’s a place where kids take their parents to learn. FamJam is an experience that’s designed to be shared by parents and children to help them do family better. And sometimes the kids get to put pie in the parents face! 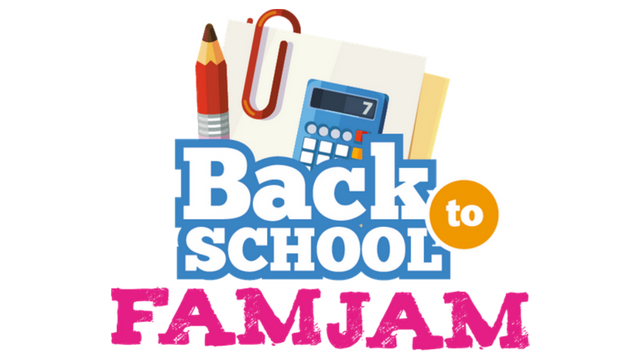 We have three FamJam experiences during the year: Back to School FamJam in September, Jingle Jam FamJam in December, and Easter FamJam in March. We hope you will bring the whole family to this family building event.